Calabasas Therapist: Dana Fogel-Stark - Therapist 91302. Send A Message To Dana. 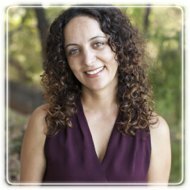 Dana Fogel-Stark, Licensed Marriage & Family Therapist, has a Bachelor's degree in Psychology and a Master's degree with specialization in Marriage & Family therapy. Dana Fogel-Stark has extensive experience working with individuals, couples, families, children and adolescents. She has been practicing for sixteen years in a private practice setting with 8 years experience in crisis intervention and assessment services for the Los Angeles County Dept. of Mental Health. As a psychotherapist, it is my belief that by entering therapy, a client is entering a journey of self exploration that leads to personal growth and fulfillment. I believe it takes courage and strength for an individual to accept the challenges in their lives and take steps toward health and happiness. I am a directive therapist who educates, teaches, and instills insight for my clients that enhances their relationship within themselves and with others. My clinical approach is eclectic in that I guide clients with gaining awareness of what may be hindering their potential for happiness as well as provide coping mechanisms and tools used to manage emotional challenges.